If you share or sell pictures on internet, you should watermark your photos. Easy Watermark Studio is a small watermark software. 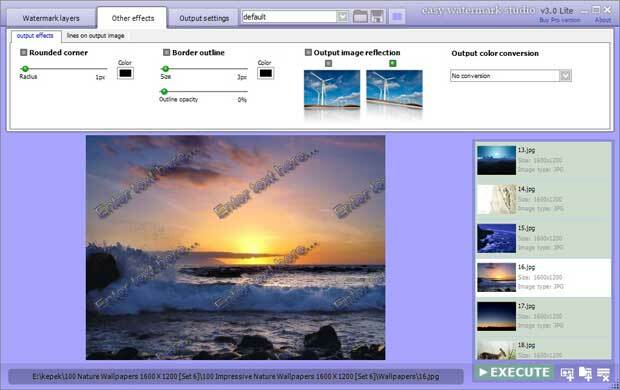 Using Easy Watermark Studio you also can rename photos, resize them and convert to other formats. Normal price of software is 24.99$ But for limited time you can get the software FREE!! Visit below link to get your free copy of Easy Watermark Studio.